April 7 is World Health Day, and the World Health Organization’s focus in 2016 is on curbing the rising trend of Diabetes‬. In the US the Center for Disease Control estimates that almost 22 million adults in America were diagnosed with Diabetes in 2014. In 2015 I joined those ranks. Although my diagnosis was a wake up call, it explained symptoms I had struggled with, and it also gave me a path to recovery. For anyone diagnosed with Type 2 Diabetes medication is critical, but it’s important to know that lifestyle changes including weight loss and exercise can often help control the disease. Two of the best things you can do are to learn more about what you eat, and to engage (now, not down the road) in a more active lifestyle. One of the most important steps you can make is to spend more time taking care of yourself by planning meals and dedicating time to an active program. Step outside for 30 minutes during your day. Find something you can be passionate about, then find out a way to be active in it. Spend an hour each week to learn how to cook again. Plan your meals, and your trip to the grocery. But back to me again: It was on a particularly hot day last summer that I walked out of my local grocery store with a Bai5 Tanzania Lemonade Tea. From a dietary standpoint one of the biggest challenges has been to restructure how I eat. I look more closely at nutrition labels. I’m looking for more natural foods with fewer ingredients. I’m looking for new foods and healthy alternatives that replace things I enjoy, but which I know aren’t healthy. I’m a huge Arnold Palmer fan, but I had just found its 5 calorie doppleganger. I’m trying to learn how to stop making myself “responsible” for things that are outside my direct control, and focus more on living a life that is worth living. 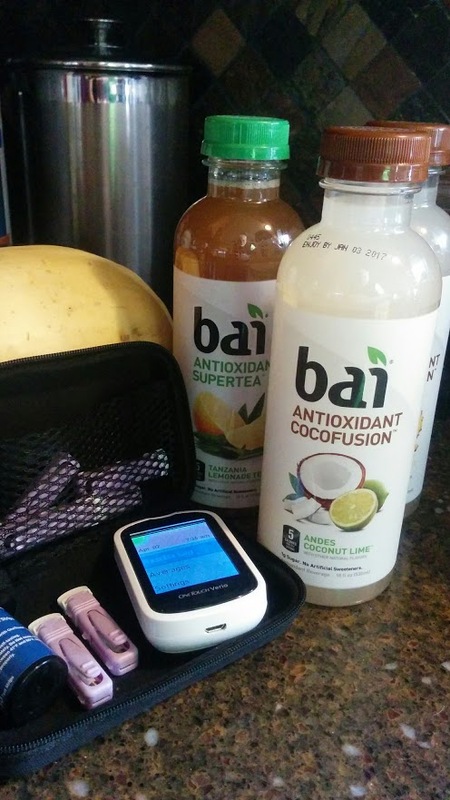 Bai is my new trick to help me maintain my blood-sugar levels while still enjoying a great tasting variety of flavors. Next Next post: Who’s With Me? Enter your email address to subscribe to updates!